Eclipse is a very powerful development environment for Java. Mainly for Web Development project you need Web Server. Apache Tomcat is the best production ready web container. By default when you download Eclipse IDE, it doesn’t come with Tomcat install with it. 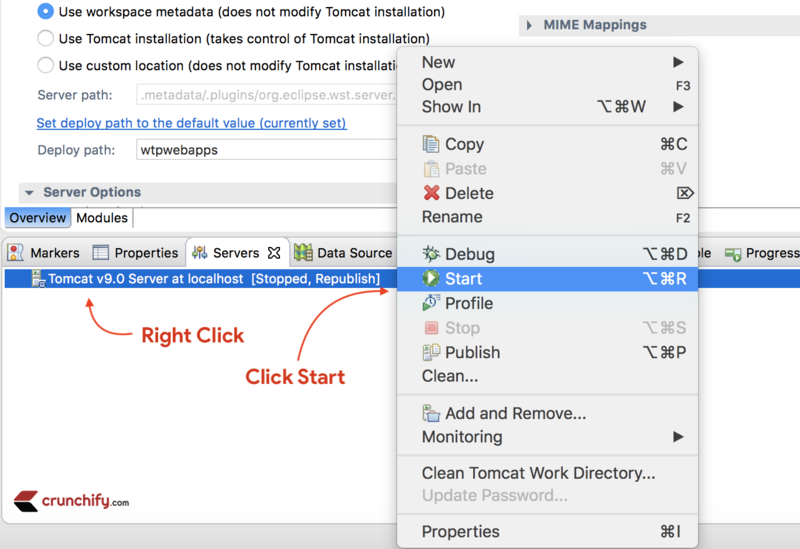 In this tutorial we will go over all detailed steps to configure Apache Tomcat successfully in Eclipse environment. Have any of below questions? Then you are at right place. 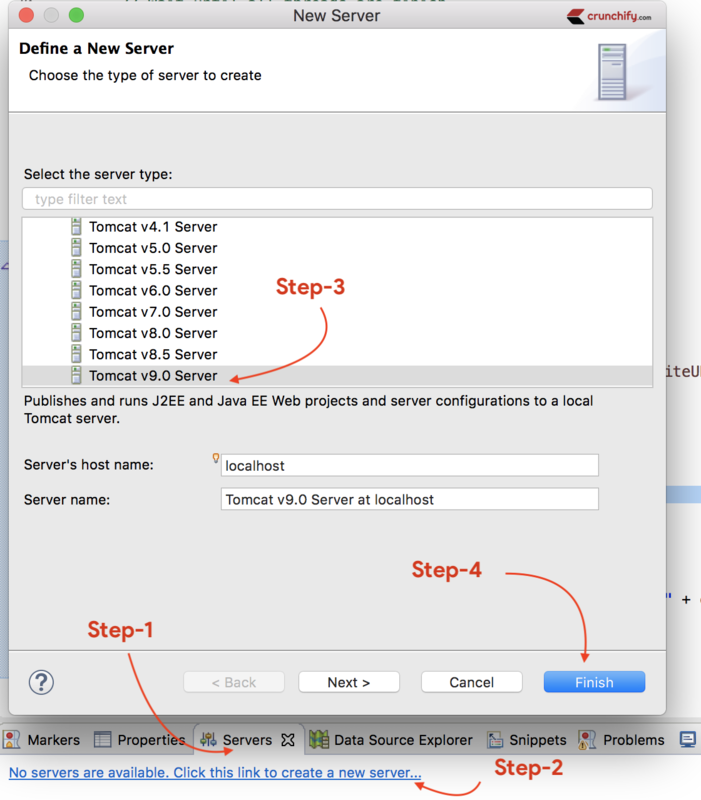 How can I add Tomcat server to eclipse? 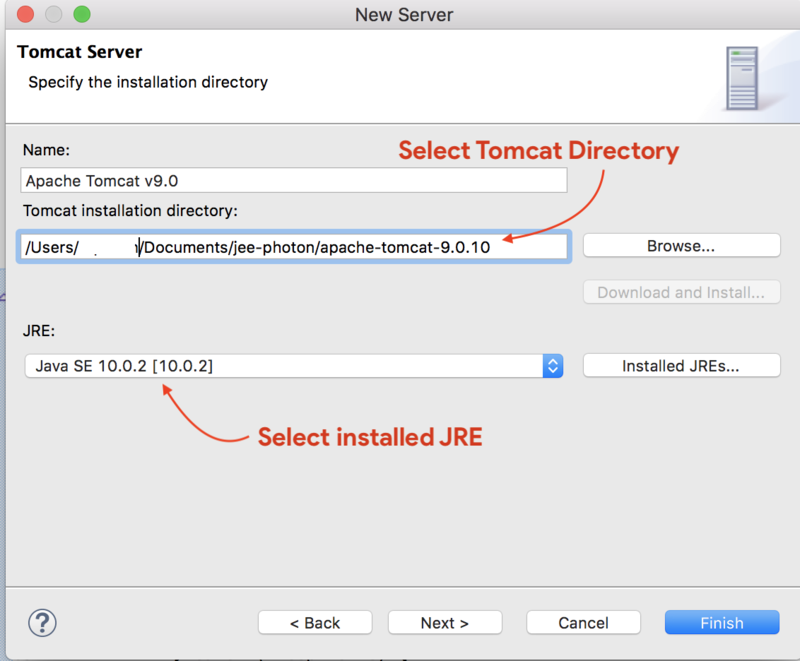 how to add apache tomcat server in eclipse Photon? Download Apache Tomcat from this link. I’m using version 9.0.10. Extract it to Document folder. Select Apache installation Directory and click Finish. You should see Tomcat v9.0 Server at localhost [Stopped, Republish] under Servers tab. Double click on it verify HTTP ports information. By default HTTP port is 8080. Now right click on Server and click Start. INFO: JVM Vendor: "Oracle Corporation"
WARNING: Creation of SecureRandom instance for session ID generation using [SHA1PRNG] took  milliseconds. Getting 404 - Page not found error? Try following tutorial.